How to crush fear forever! 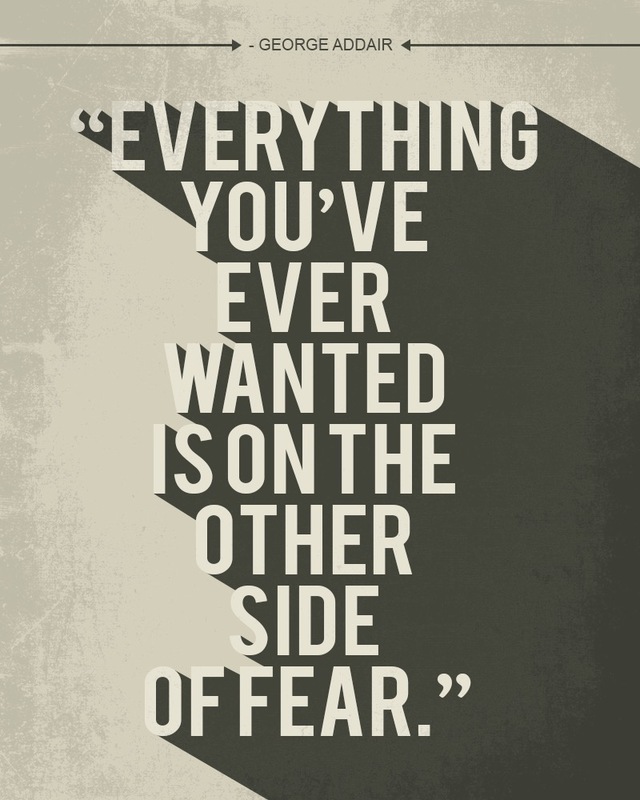 Are you sick and tired of fear running your life or keeping you from big dreams? Good news, the thing that is keeping fear in place (your smallness voice) can be crushed. The two biggest things that we need to achieve dreams is our greatness mindset and our courage. However, they are the hardest to master because of our smallness voice and our fearful feelings are often dominating us. Every year I push myself harder and harder to grow my courage and grow my greatness because THAT is what it takes to achieve my biggest dreams. I will not succumb to living in smallness, I did that for 27 years. But I am here to tell you that YOU have a greatness voice and you were born with it. It’s just buried under your smallness voice (yes you have tons of it like all of us) that keeps you scared and small. Even my clients who have huge, juicy lives or very successful businesses are playing small compared to the dreams they have because of their smallness voice. What would your life look like if you never listened to your smallness EVER again? Would you get your ambition and grit back? What if you could crush your smallness voice so that it never stopped you from a dream or goal again? What if you could master your greatness mindset and turned down your smallness voice every time you heard it? See, if an unemployed man can become a million dollar CEO, and a California Mom can become a Ballroom Dancing national champion, and a girl from a dysfunctional home became a best selling author, and a small company can become a national franchise, and a mom of 4 can build a million dollar company helping other moms, all with the help of mastering their greatness, THEN you can achieve your greatness mindset too. Every great dream has a great mindset behind it, do you have a greatness mindset? It takes time to stop listening to your smallness and start listening to your greatness. Once you start living and leading from your greatness you now need big courage! I recently shot an episode for The List on ABC about growing your courage and I got in an elevator with two Boa Constrictor snakes. THAT grew my courage! BOY was I scared. But when you do things that scare you it will grow your courage!! I promise!! With that newly heightened courage, you can take another BOLD step towards your dreams. With that heightened courage, you can get your gifts and brilliance out in the world. With that heightened courage you can achieve anything you want. What can you do THIS week that really scares you so that you can grow your courage? I always have smallness attacks when I pursue big dreams, but I know how to crush my smallness voice IN ANY SITUATION AND IN ANY MOMENT so it didn’t stop me. Our smallness voice tries to derail our big dreams because they are big risks and it’s your greatness and your courage that will make any dream possible. But you might ask “what about all those feelings of being scared”? We are human beings, not human doings. YES our feelings are an important part of being human, but feelings also can be influenced by your smallness voice and other peoples negative judgments. If that’s the case, why do we allow our feelings to dictate our thoughts and actions? We have to have discipline around our feelings or we get tangled up in them, especially the negative ones. The key is to recognize our feelings, but not become our feelings (i.e. HAVE your feelings, don’t BECOME your feelings). Master your greatness mindset + grow your courage + discipline your feelings = biggest dreams. WHY? Because our smallness and our scared feelings aren’t running the show anymore. We learn to crush that smallness voice every day so we can pursue our biggest dreams. SAME smallness = SAME business.